· Frame stress: hard pressed extruded aluminum with bamboo which can last more than 10 years. · Fabric material: high quality double PVC-coated polyester textile, 100% waterproof, flame retardant to DIN4102 B1, M2, CFM, UV resistant, tear resistant, self-cleaning ability, etc. 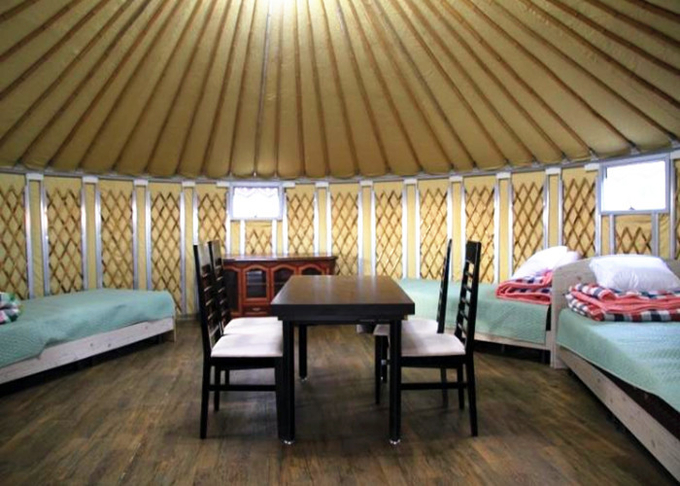 The 6m diameter Mongolian tent is about 31 square meters, usually be for about 5-6 people to live. The frame material is aluminum alloy and bamboo trips, roof material is bamboo. The wrapper is made of four layers, that can keep warm and resist wind well. There is ventilation on the top and windows on the sidewalls, which make air fresh and lighting enough. 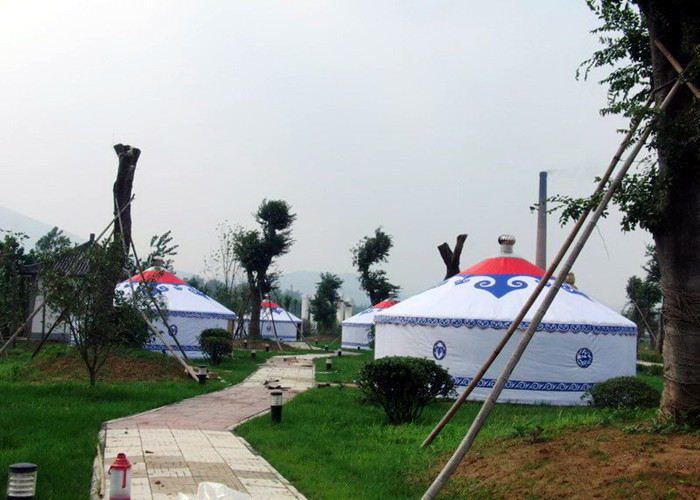 Mongolian tent is widely used in living, catering, view, hotel tent, ecological garden, mountain villa, etc. · Custom design the tent according to the clients' requirements ,for example, cover color and pattern. Material: Aluminum with bamboo, main parts are aluminum.